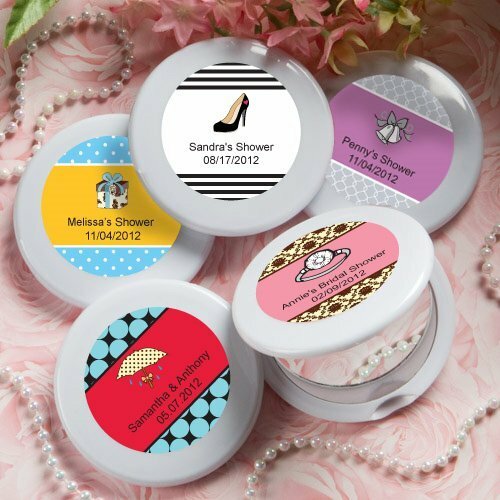 Reflect the joy of your special day with our compact mirror bridal shower personalized favors. Perfect for your bridal shower guests, each 2 1/2" round compact mirror has a double sided glass mirror interior with a sturdy white poly resin outer compact case, hinged for easy open/close. To make them a truly special gift, choose from a variety of designs and colors to match your shower theme then add 2 lines of custom text. Personalized labels are self-sticking for easy application.